Noble house in centre of lively and historic village. Renovated and furnished with taste and style. 6 spacious bedrooms, 5 Bathrooms. Heated pool, courtyard and garden. Consisting of an elegant Maison de Maitre with 6 bedrooms and 5 bathrooms, a 13th century tower (with resident owl), a large private courtyard, a separate pool and landscaped garden, all completely refurbished. The 19th century Maison de Maitre and its ancillary buildings are accessed via large gates. They surround a substantial gravelled courtyard suitable for private parking in excess of four cars. Unique for numerous reasons, it also offers a secluded garden area with a large private swimming pool (4.5mx8.5m), a heated shower, a cloakroom, a BBQ, a summer kitchen and lots of space for relaxing. 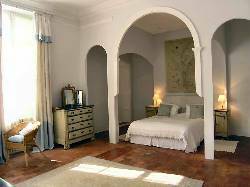 La Manse has been renovated in an elegant French style. Unlike other similar buildings, this house immediately enchants visitors with its wide sweeping staircase and high ceilinged hallway. 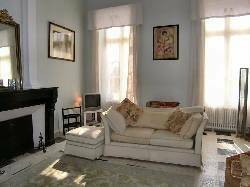 The ground floor also has a wonderfully proportioned drawing room, large dining room, newly fitted kitchen, cloakroom and lots of storage space. 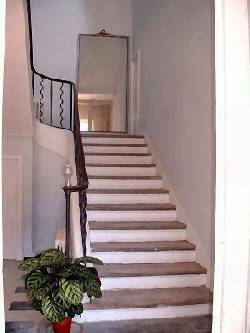 The first floor offers one of the house’s best features. “The Cardinal’s Suite” so named for reputedly being used by the local cardinal when visiting the Collegiate (village church). This huge space includes a private bathroom with a separate shower and an additional dressing room. Across the landing is the second largest room, once again offering a private bathroom, from which one has a view of not only the swimming pool area, but also the remarkable church. The top floor has been fitted out in more modern style with two en-suite bedrooms forming one side. The other offers two further bedrooms which share a shower room, specifically designed for a family. In addition to ample power points and clever light switching, the house is on mains gas, and has been fitted with a state-of-the-art central heating boiler and hot water system. 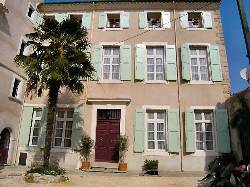 Village properties in the South of France rarely offer so much outside living. However, it is the rear garden that is the true bonus. At night the church is lit and provides a stunning backdrop to a lovely secluded swimming pool surrounded by a beautifully landscaped patio garden. To maximise this area a dedicated laundry drying section is hidden away with additional private parking via a separate access. There is plenty of room for the built in BBQ, “cuisine d’ete”, outside shower and WC. The English owners live in the adjoining cottage and are able to offer services including cooking, babysitting, daily maid service and airport collections.